This Electri-Chef 24 Inch Table Top Electric Grill is a great grill to put on top of an existing counter or table. This high quality electric grill is perfect for apartments, homes,condominiums and multi-family homes. 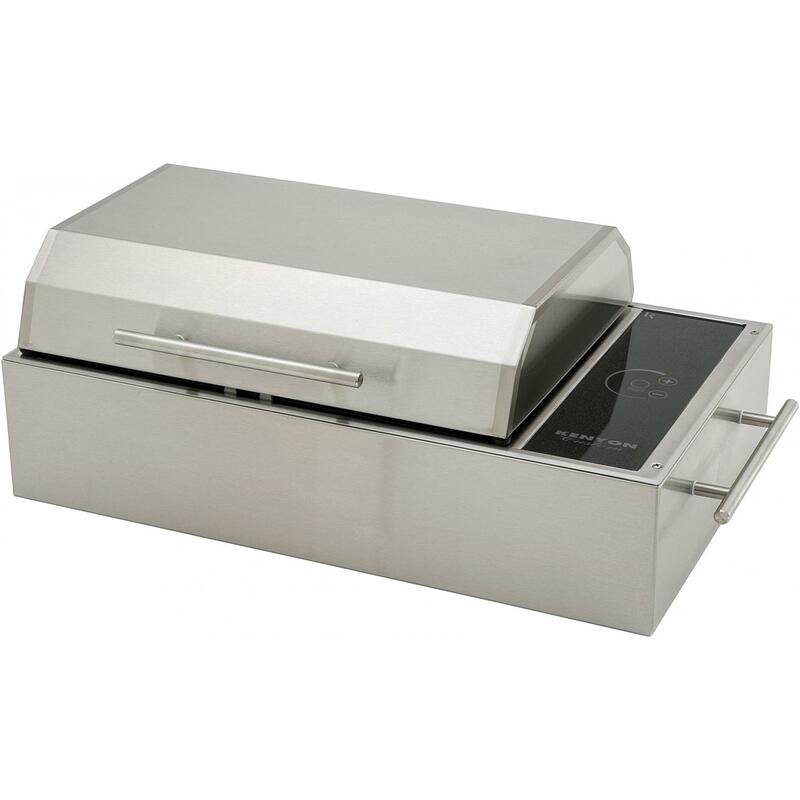 All stainless steel construction with easy-to-use adjustable controls that provides grilling temperatures from 180 to 600. Clean electric cooking with 336 square inches of grilling surface (14 inch x 24 inch). Requires 208/220 volts ac 20 amps single phase dedicated branch circuit. This unit does NOT come with Rotisserie (as pictured). This Electri-Chef 16 Inch Table Top Electric Grill is perfect for apartments, homes,condominiums and multi-family homes. 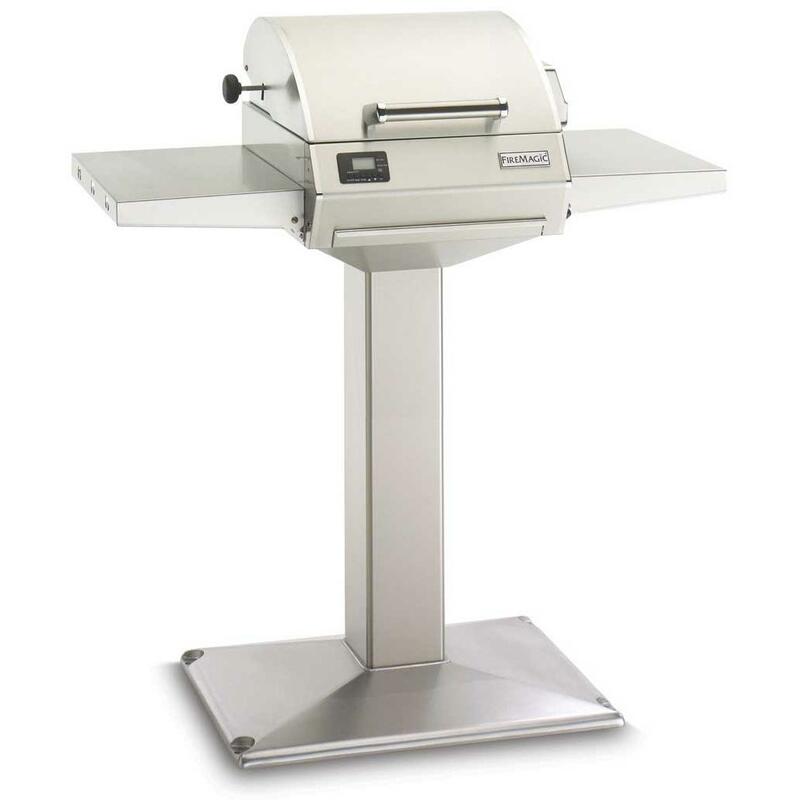 All stainless steel construction with easy-to-use adjustable controls that provides grilling temperatures from 180 to 600. Clean electric cooking with 224 square inches of grilling surface (14 inch x 16 inch). Requires 208/220 volts ac 20 amps single phase dedicated branch circuit. Rotisserie NOT included, as pictured above. This Electri-Chef 16 Inch Built-In Electric Grill is perfect for apartments, homes,condominiums and multi-family homes where open flames are not permitted. 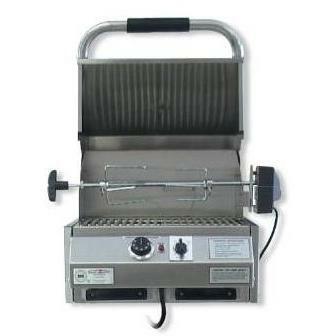 All stainless steel construction with easy-to-use adjustable controls that provides grilling temperatures from 150 to 600. Clean electric cooking with 224 square inches of grilling surface (14 inch x 16 inch). Stainless Steel cooking grids can be washed in dishwasher. Requires 208/220 volts ac 20 amps single phase dedicated branch circuit. 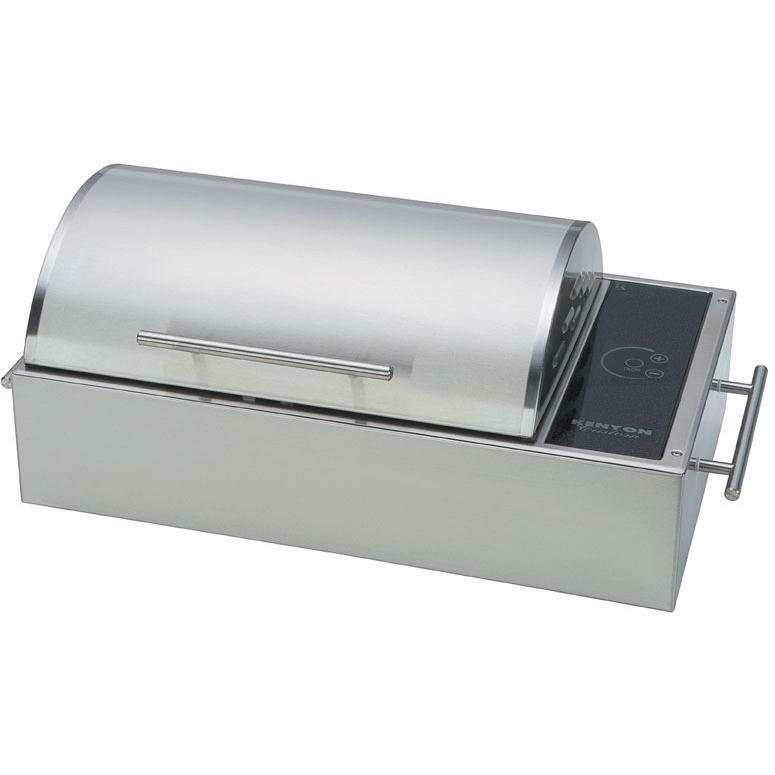 Grill cut-out dimensions needed: 16 1/4 W x 16 1/4 D x 7 3/4 H and minimum 3 inch clearance behind grill for open lid. Rotisserie is NOT included, as pictured above. Perfect for boating, RVing and patio grilling, this built-in electric grill allows you to take your passion for cooking almost anywhere you go! Featuring a weather and rust proof, marine grade 304 stainless steel housing, this electric grill is guaranteed to impress. The nonstick, double coated grill grate provides 155 square inches of cooking area and is made of cast aluminum for years of use. A single electric element is concealed for flare-up and smoke-free grilling. Pre-heating to a maximum temperature of 500 degrees in less than 7 minutes, this grill is quick and easy to use. Underneath the element, is a disposable drip pan that also works great for adding a variety of liquids for additional flavor. To start, simply touch the ON/OFF sensor on the digital control panel and adjust to one of the 8 heat settings using the two heat control touch sensors. On the grill lid is a stainless steel handle that remains cool-to-the-touch while cooking. The grill grate and lid are both easy to remove and dishwasher safe for easy cleanup. With an automatic shut off feature that turns your grill off after 90 minutes of being unattended, a GFCI power cord to prevent accidental electric shock, and an insulated lid that helps prevent accidental burns, this electric grill promises optimal safety. This 6 amp grill is UL approved for both indoor and outdoor use. Gone are the days of heavy bags of charcoal and gas tanks! Featuring a weather and rust proof, marine grade 304 stainless steel housing, this electric grill is guaranteed to impress. The nonstick, double coated grill grate provides 155 square inches of cooking area and is made of cast aluminum for years of use. A single electric element is concealed for flare-up and smoke-free grilling. Pre-heating to a maximum temperature of 500 degrees in less than 7 minutes, this grill is quick and easy to use. Underneath the element, is a disposable drip pan that also works great for adding a variety of liquids for additional flavor. To start, simply touch the ON/OFF sensor on the digital control panel and adjust to one of the 8 heat settings using the two heat control touch sensors. On the grill lid and on each side are stainless steel handles that remain cool-to-the-touch while cooking. The grill grate and lid are both easy to remove and dishwasher safe for easy cleanup. With an automatic shut off feature that turns your grill off after 90 minutes of being unattended and an insulated lid that helps prevent accidental burns, this electric grill promises optimal safety. This 6 amp grill is UL approved for both indoor and outdoor use. 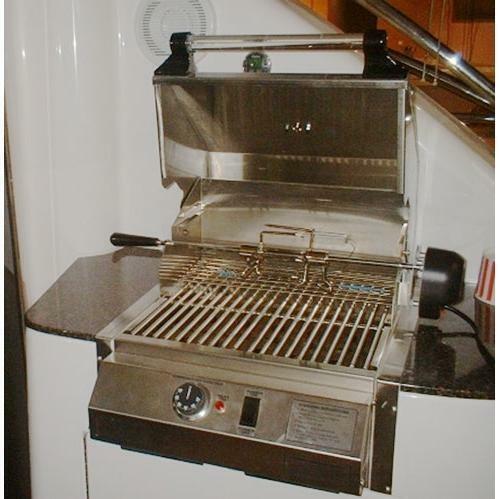 Perfect for boating, RVing and patio grilling, this built-in electric grill allows you to take your passion for cooking almost anywhere you go! Featuring a weather and rust proof, marine grade 304 stainless steel housing, this electric grill is guaranteed to impress. The nonstick, double coated grill grate provides 155 square inches of cooking area and is made of cast aluminum for years of use. A single electric element is concealed for flare-up and smoke-free grilling. Pre-heating to a maximum temperature of 500 degrees in less than 7 minutes, this grill is quick and easy to use. Underneath the element, is a disposable drip pan that also works great for adding a variety of liquids for additional flavor. To start, simply touch the ON/OFF sensor on the digital control panel and adjust to one of the 8 heat settings using the two heat control touch sensors. On the grill lid is a stainless steel handle that remains cool-to-the-touch while cooking. The grill grate and lid are both easy to remove and dishwasher safe for easy cleanup. With an automatic shut off feature that turns your grill off after 90 minutes of being unattended, a GFCI power cord to prevent accidental electric shock, and an insulated lid that helps prevent accidental burns, this electric grill promises optimal safety. This 11 amp grill is UL approved for both indoor and outdoor use. Perfect for boating, RVing and patio grilling, this electric grill allows you to take your passion for cooking almost anywhere you go! Featuring a weather and rust proof, marine grade 304 stainless steel housing, this electric grill is guaranteed to impress. The nonstick, double coated grill grate provides 155 square inches of cooking area and is made of cast aluminum for years of use. A single electric element is concealed for flare-up and smoke-free grilling. 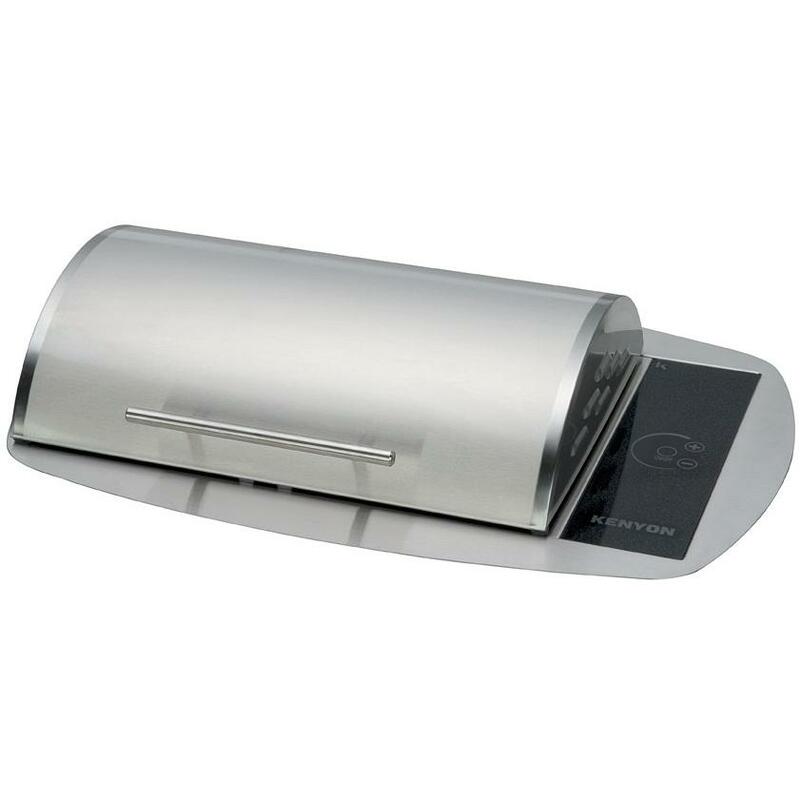 Pre-heating to a maximum temperature of 500 degrees in less than 7 minutes, this grill is quick and easy to use. Underneath the element, is a disposable drip pan that also works great for adding a variety of liquids for additional flavor. To start, simply touch the ON/OFF sensor on the digital control panel and adjust to one of the 8 heat settings using the two heat control touch sensors. On the grill lid is a stainless steel handle that remains cool-to-the-touch while cooking. The grill grate and lid are both easy to remove and dishwasher safe for easy cleanup. With an automatic shut off feature that turns your grill off after 90 minutes of being unattended, a GFCI power cord to prevent accidental electric shock, and an insulated lid that helps prevent accidental burns, this electric grill promises optimal safety. This 11 amp grill is UL approved for both indoor and outdoor use. Perfect for boating, RVing and patio grilling, this portable electric grill allows you to take your passion for cooking almost anywhere you go! Featuring a weather and rust proof, marine grade 304 stainless steel housing, this electric grill is guaranteed to impress. The nonstick, double coated grill grate provides 155 square inches of cooking area and is made of cast aluminum for years of use. A single electric element is concealed for flare-up and smoke-free grilling. Pre-heating to a maximum temperature of 500 degrees in less than 7 minutes, this grill is quick and easy to use. Underneath the element, is a disposable drip pan that also works great for adding a variety of liquids for additional flavor. To start, simply touch the ON/OFF sensor on the digital control panel and adjust to one of the 8 heat settings using the two heat control touch sensors. On the grill lid and on each side are stainless steel handles that remain cool-to-the-touch while cooking. The grill grate and lid are both easy to remove and dishwasher safe for easy cleanup. With an automatic shut off feature that turns your grill off after 90 minutes of being unattended, a GFCI power cord to prevent accidental electric shock, and an insulated lid that helps prevent accidental burns, this electric grill promises optimal safety. This 11 amp grill is UL approved for both indoor and outdoor use. 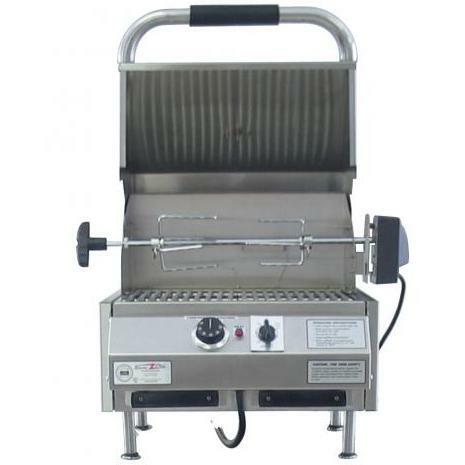 This Fire Magic Electric Grill features a large heating element for faster and hotter cooking. The grill reaches temperatures up to 725 degrees Fahrenheit and offers a triple wall insulated body and double wall lid for maximum heat concentration. Easily control your cooking temperature with the precision thermostatic control system which keeps the internal temperature within 20 degrees of the desired setting and has a 2-hour safety shut-off. The included meat probe lets you monitor the internal temperature of your food and an alarms sounds when the desired temperature is reached. 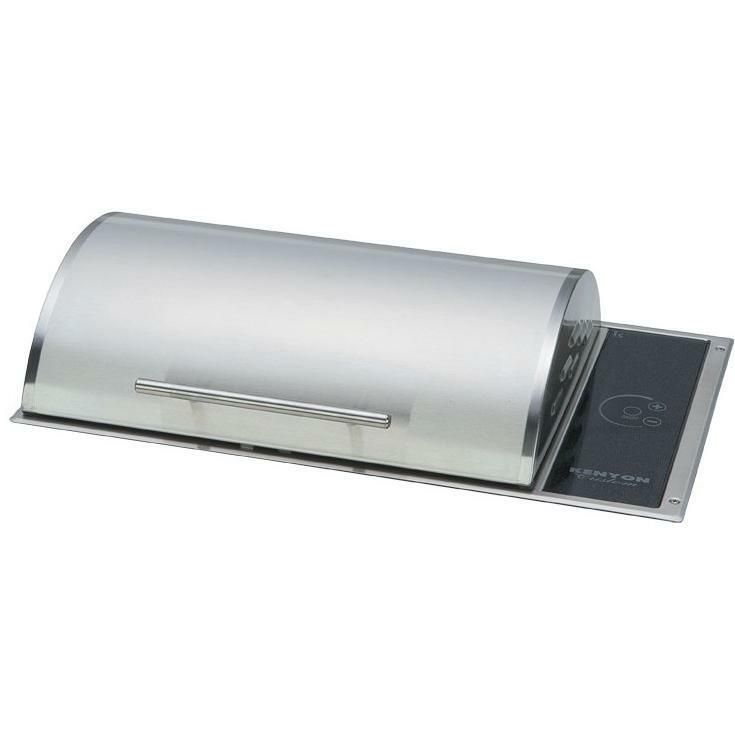 This grill comes with a removable warming rack and drip tray making clean up a breeze. Fire Magic Electric Grills are perfect for boats, condos and apartment balconies where open flame is prohibited. This Fire Magic Electric BBQ features a 252 square inch grilling area and two 12 W x 20 D side shelves. It operates on a 110V, 20 amp circuit. This Fire Magic Grill comes on a patio post and will not function in temperatures below 40 degrees Fahrenheit. Dimplex electric fireplaces make a statement in any room with quality craftsmanship and a realistic fire. 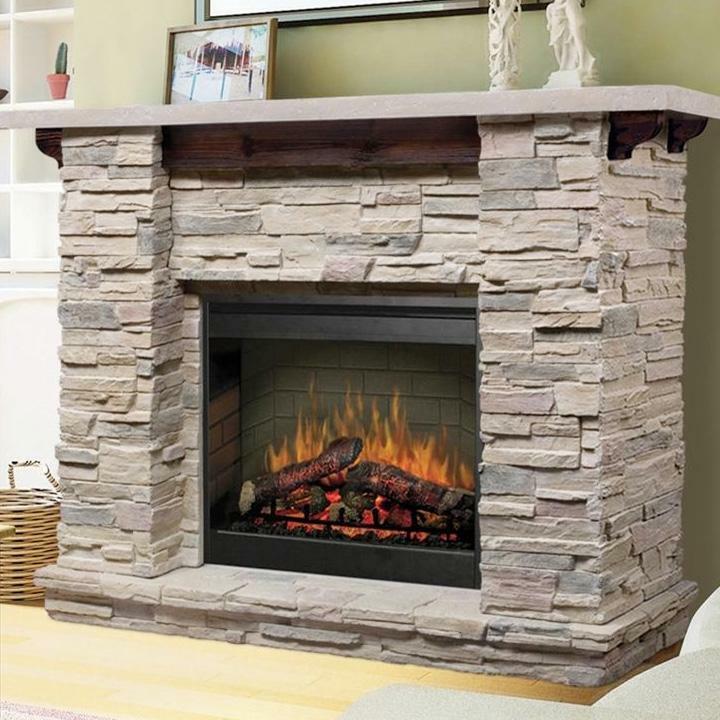 This electric firebox from Dimplex features a 26-inch firebox with a ledge-rock mantel design for adding a rustic mountain lodge look in your living room and only needs a standard 120V household electrical plug. Patented 3D fire technology gives the fire depth and dancing flames. Hand-finished, LED inner-glow logs are molded from real wood logs and sit on top of pulsating embers for a realistic fire. The flames can be used with or without heat, so the look of a wood fire can be enjoyed year-round. When the thermostat controlled, fan-forced 1440 watt/4915 BTU heater is used, the unit can heat a room up to 400 square feet. Once the temperature is set, the thermostat maintains the heat in the room. With 90 percent less carbon dioxide emissions than average gas fireplaces and no harmful particles, electric fireplaces are the safe choice for your home. This Dimplex GDS26-1152LR electric fireplace includes a manual on/off switch and a three stage remote which allows you to adjust heat and flames from your chair. Installation is easy, and in no time you will be enjoying a warm, ambient fire that also filters the air in your home. Dimplex electric fireplaces make a statement in any room with quality craftsmanship and a realistic fire. 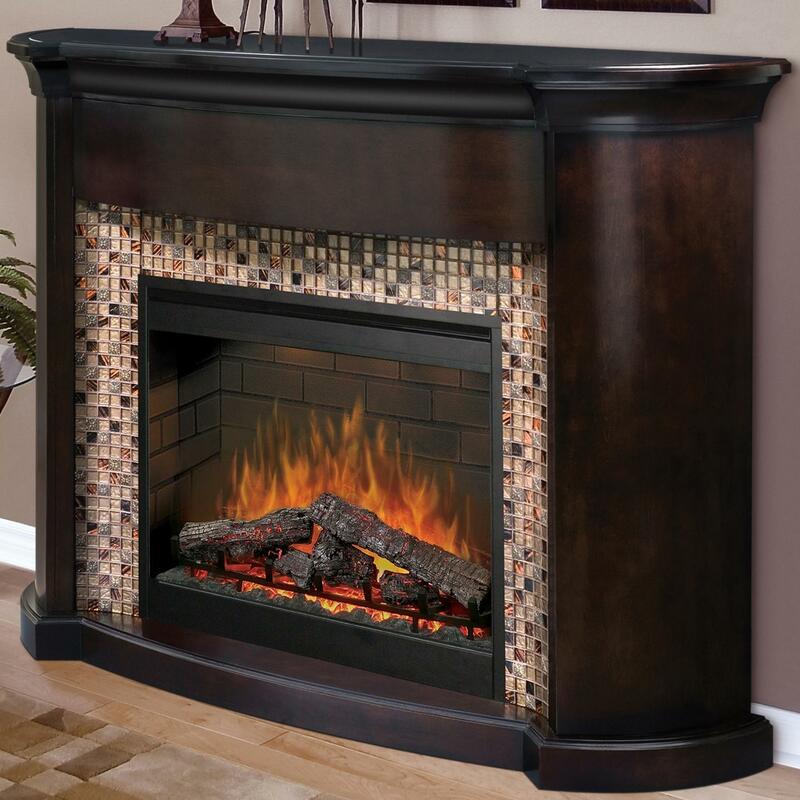 The Martindale electric fireplace from Dimplex features a 30-inch firebox, an Art Deco inspired mantel with complementing tiles, a rich, hand applied espresso finish and bold curves. The fireplace also has Purifire, an air treatment system that cleans the air about four times an hour. The patented 3D realistic fire with depth, dancing flames and glowing embers is combined with hand-finished LED inner-glow logs, molded from real logs, for an incredibly lifelike fire. The flames can be used with or without heat, so the look of a wood fire can be enjoyed year-round. When the thermostat controlled, fan-forced 1500 watt/5120 BTU heater is used, the unit can heat a room up to 400 square feet. Once the temperature is set, the thermostat maintains the heat in the room. With 90 percent less carbon dioxide emissions than average gas fireplaces and no harmful particles, electric fireplaces are the safe choice for your home. This Dimplex GDS30-1150E electric fireplace includes a multi-function remote which allows you to adjust the flames and heat from your chair. Installation is easy, only requiring a 120V household outlet, and in no time you will be enjoying a warm, ambient fire that also filters the air in your home.